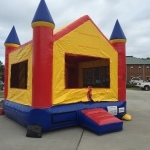 We have the following Bounce Houses available. 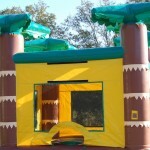 Jungle Bounce Moonwalk / Bounce House that is great for kids birthday parties! Let your kids play through the trees and have a excellent birthday party! 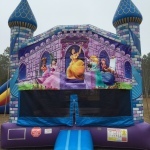 Princess-Castle Moonwalk / Bounce House is great for a little girl’s birthday party! Can also be used as a castle without the Princess banner. All around great bounce house. 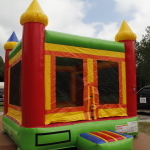 Has a basket ball goal in it for added fun for the little ones. All around great bounce house. Has a basketball goal in it for added fun for the little ones. 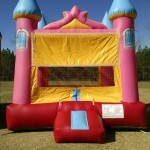 Princess-Castle Moonwalk / Bounce House is great for a little girl’s birthday party!